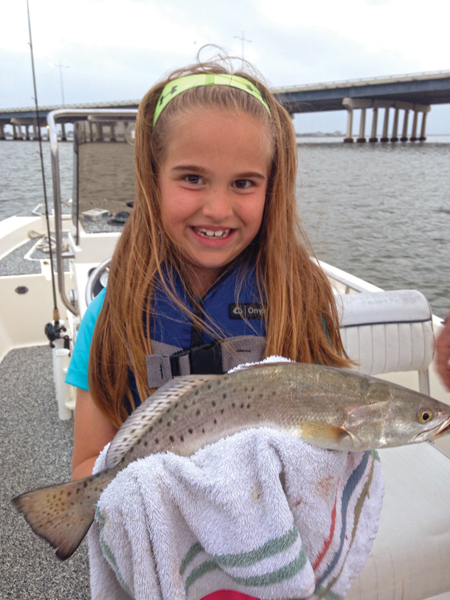 Each summer, hundreds of visitors flock to the Gulf Coast for vacation and to enjoy some of the best saltwater fishing around. Many, however, are not experienced in saltwater fishing and others have had limited experience and have had difficulty catching fish. Perhaps a few of the pointers discussed in this article will contribute to some successful fishing while here. While a few visitors have never been fishing, others have had experience freshwater fishing which they soon find out is very different than saltwater fishing. For over 12 years I have been the fishing columnist for the Galveston County Daily News, writing a daily column about Galveston area fishing. During those years, vacationers have asked a lot of questions about how, when and where to fish and from them we will focus on those asked most frequently. Among the most common questions are; where to fish, equipment needed and baits. Following those are questions about when to fish, where to fish without a boat, the best times to fish and fishing licenses. Let’s start by addressing the equipment needed. For inshore fishing (bays and jetties), a medium action rod and reel equipped with 10 to 15 pound test line is the most popular choice. Among the most popular riggings are popping corks with treble hooks. Popping corks with a leader ranging from say 15 to 28 inches in length using 20 to 40 pound test line work well. Treble hooks are the most popular, with sizes 6 to 10 being the most common. My preference is size 8. Prepared popping corks are available at most tackle and bait shops and my recommendation to the newcomer is to start with one of those. In the hot summer, when the water temperature is above 80 degrees, fish will tend to be deep thereby making a bottom rig the best choice. We call this bottom bumping and the rig is fairly simple consisting of a swivel, 15 to 24 inches of 20-30 pound leader and treble hook of the sizes mentioned earlier, or a small kahle hook. Above the swivel, a slip sinker from 1/8 to 3/4 ounce should be used. The size will depend on the strength of the current and the idea is to use as small a weight as possible to get the bait near the bottom. Live shrimp and croaker are the two most popular summertime baits and for the newcomer, I recommend live shrimp. 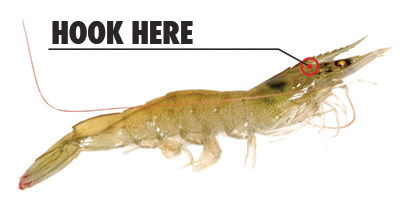 The bait camps can show you how to hook the shrimp, as it is a fairly complicated process of getting the hook just under the horn of the shrimp. For newcomers, I do not recommend artificial baits. Where and when to fish are not quite as easy to answer, as weather conditions have a major impact on that choice. 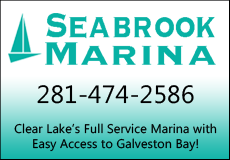 If you are fishing from a boat, there are many spots including the jetties, Causeway Bridge area, East and West Bays, Galveston Ship Channel shorelines and gas well shell pads. The key for all of those areas is having tidal movement and at least fair water clarity. Unfortunately, the locations are limited for those anglers without boats. 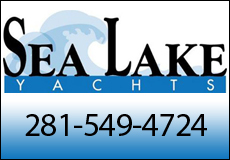 Fishing piers along the beachfront, Jamail Bay Park, Seawolf Park and a few private subdivision piers are about it. For those willing to wade fish, the surf can be red hot with action during the summer. 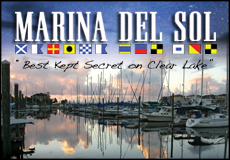 The keys to success are light wind and good water clarity. Moon phases play into the equation, as days on both sides of the full and dark moons offer some of the best tidal movement. The best wind direction is a light to moderate southeast wind while the worst winds during the summer are from the southwest and east. Wind velocity plays a big role in both of the adverse winds, as light winds from either direction are often tolerable; however, moderate to strong velocities are usually just not worth fighting. A saltwater fishing license and stamp are needed and can be purchased at sporting goods stores, many bait shops and online at tpwd.texas.gov. Try to get your licenses ahead of time to avoid delays on the morning of your trip. 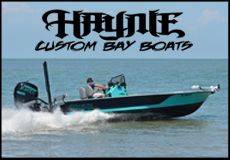 Hopefully the information above will help you have a productive fishing trip while enjoying the many attractions that the Texas Gulf Coast has to offer.